For over a decade, Rita Hosking has been a force of nature in the acoustic Cali-Americana music scene. A descendant of Cornish miners who sang in the mines, Hosking grew up with deep regard for folk music and the power of the voice. 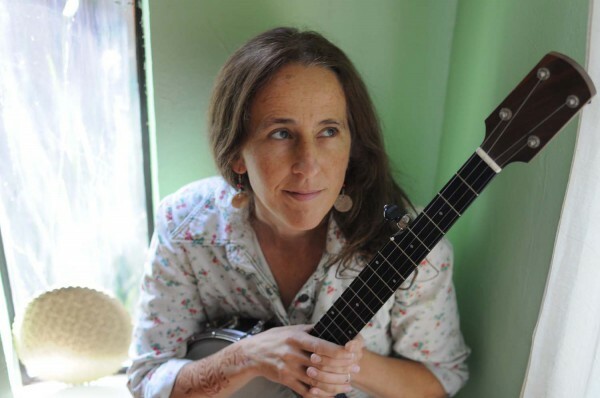 From festivals (Strawberry Music Festival, Father’s Day Bluegrass Festival) to hometown theatres (Palms Theatre, Center for the Arts), she has captivated audiences around the globe with her doubly sweet and sinewy voice and stories of forest fires, culture clashes, demolition derbies, working class, and hope. This Friday, Hosking will perform her latest album Frankie and the No-Go Road in its entirely, as part of the Nevada City Live Concert Series presented by Paul Emery at the historic Nevada Theatre. Frankie and the No-Go Road is a collection of twelve songs based on twelve steps of the Hero’s Journey. While in college, Hosking studied the American scholar Joseph Campbell and the pattern of narrative he identified as the Hero’s Journey, which appears in drama, storytelling, myth, religious ritual, and psychological development. She was also deeply inspired by a favorite professor, Dr. Whalen Lai, who exposed her to the psychology of dreams. She went with the idea and found the process exciting, motivating and even cathartic. Hosking headed to Austin, TX to record Frankie and the No-Go Road with producer Rich Brotherton at Ace Recording. Joining her on the album are esteemed session players Glenn Fukunaga (upright bass), Dony Wynn (drums), along with members of her band (and family) including husband Sean Feder (lap steel, dobro, banjo), daughter Kora Feder (vocals) and Andy Lentz (fiddle). In keeping with the hero’s journey each song was recorded in the order of the twelve steps. Opening the concert are local troubadours The Heifer Belles featuring Juliet Gobert, Karel Hendee and Kim Rogers.